Humorous coat rack in shape of a tree. 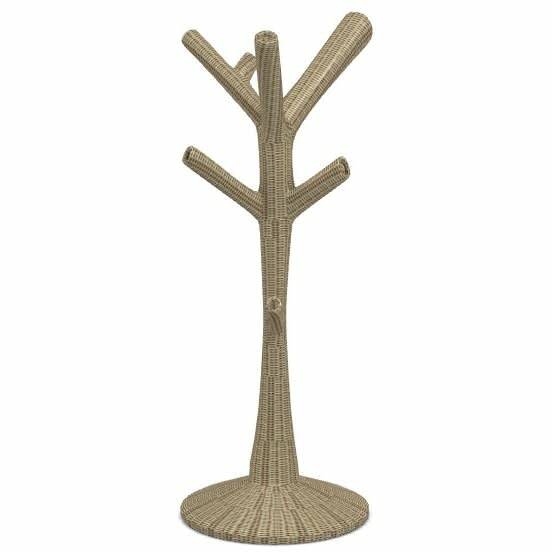 Humorous coat stand in the shape of a tree. Made of Peddig cane, either natural or coloured stained. Corallo offers space for jackets and coats, hats, bags and clothing accessories and is a stylish eye-catcher in the room, which can also be arranged in groups and thus take on a room divider function. Do you have a question about "Corallo"? How can we contact you?